A dish, I very much like is eggplant and pasta with sauce and it serves like spaghetti and meatballs with the eggplant chunks subbing for the meatballs. 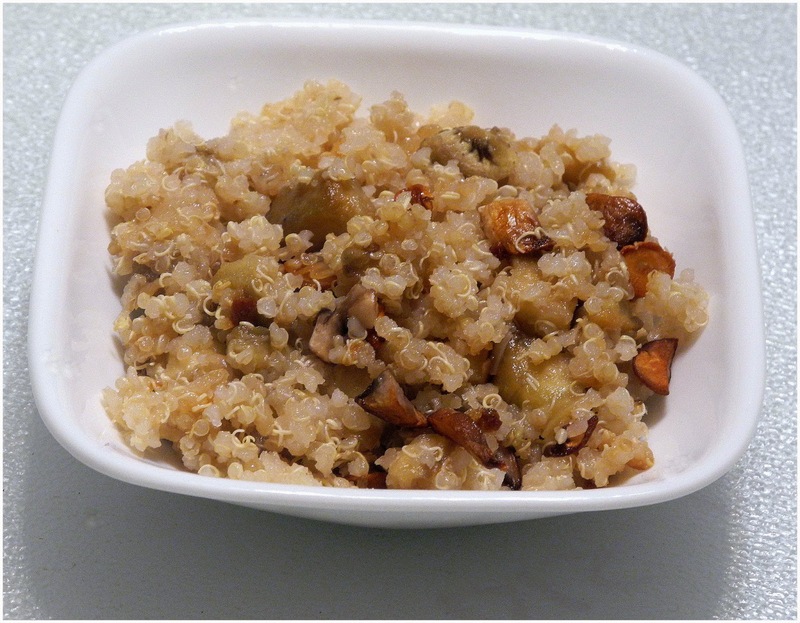 I decided to apply this idea to a new dish, quinoa with eggplant and mushrooms and served it on the Sabbath. Heat 1 - 2 tablespoons oil in large skillet. Add eggplant and cook, mixed on a regular basis, for about 6 minutes. Add sliced mushrooms and cook for another 4 minutes. Add soy sauce and miso to the skillet and mix well. Place in a baking dish, sprayed with oil and bake at 350 degrees for 2o minutes.